This Sunday is Mother’s Day, a celebration that can be traced all the way back to ancient Greece and Rome. While ancient civilizations held festivals honoring the goddesses of motherhood, today the holiday is a celebration of women who teach, influence, and inspire us daily. 84 percent of people in the U.S. celebrate Mother’s Day. There are 85.4 million mothers in the U.S.
Mother’s Day is celebrated in nearly 100 countries. Mother’s Day 2018 spending will reach $23.1 billion. If your business has been absent on social media, Mother’s Day is a fantastic time to spruce up your presence. Social media profiles are free, and a little creativity and design can go a long way in helping attract potential customers. You could try a “Throwback Mother’s Day” initiative and invite your audience to share nostalgic pictures of their moms. Create a “Mom’s Best Advice” campaign and invite clients to share their mothers’ words of wisdom. With any initiative like this, sharing your own photos and heartfelt sentiments, as well as those of your staff members, will encourage further audience participation and engagement. Sponsor a contest or a giveaway for the best picture or advice to take your efforts a step further and give newcomers a chance to interact with your product or service. 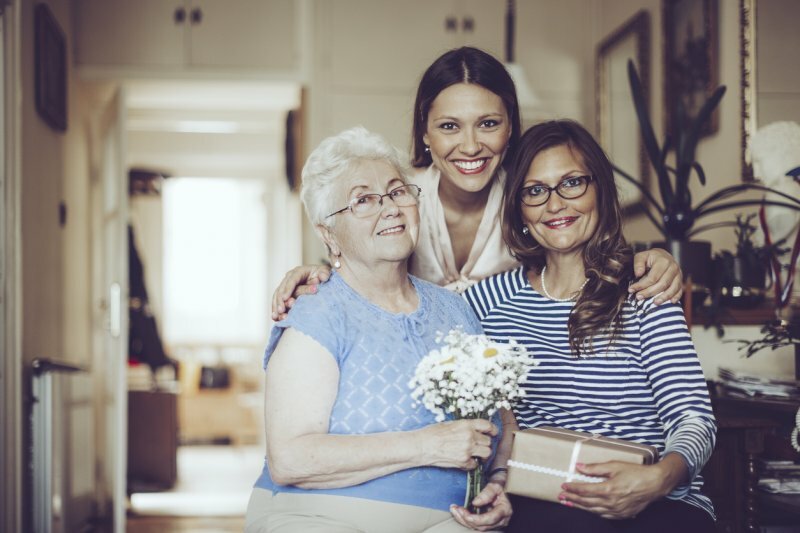 Businesses like floral shops, restaurants, and salons are popular destinations for most Mother’s Day shoppers, and business owners in these sectors understand just how powerful the Mother’s Day effect can be. If your business isn’t the most obvious choice for gift giving, that doesn’t mean you can’t get in on this holiday. Get creative by partnering with a local restaurant, salon, boutique, or florist to offer a discount or gift card. Or, try co-sponsoring an event with a local business where dads can bring the kids to give Mom some much needed R&R. Mother’s Day specials are another powerful sales tool. Try offering a two-for-one deal to any customer who brings their mom into your establishment with them. Or, plan a Father’s Day tie-in where you offer customers a free gift for Dad with their purchase for Mom. Special event marketing can not only help you increase sales among your current clients, but also draw in new customers. You will maximize the effectiveness of your campaigns down the road by making sure newcomers have a positive first experience and interaction with your business. Read about how one mother raised four boys to be CEOs in this heartfelt tribute by Lendio CEO Brock Blake.